When it comes to working at industrial sites or construction zones, having the right machinery on hand is vital for success. Every company wants to make sure they have everything they need, but no one wants to invest in multiple expensive machines. Versatility and adaptability are two characteristics to look for when it comes to industrial equipment, and The Workplace Depot is excited to offer an innovative accessory for any site that uses fork lifts. Fork Mounted Hooks can give any standard lift a new degree of functionality while proving to be much more cost-effective than buying a new machine. This product is designed to turn any fork lift into a mini mobile crane for the purpose of lifting objects that are difficult to fit on standard lifts. While most companies focus on having the tools needed to handle heavy objects, sometimes unique dimensions can prove to be just as cumbersome as heavy weight. This product is designed to provide an easy way to lift and move objects which are better moved by cranes. This also helps companies avoid the cost of buying a separate mini crane for such activities. 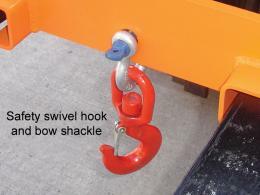 This product is a valuable attachment to have on hand at any location that uses a fork lift. The ability to transform a fork lift into a mini-crane can prove valuable when it comes to moving wider or spherical objects from one place to the next. This is a great addition to any construction site, automotive shop, fuel company, or shipping yard. This product can be used by anyone who is skilled at operating a fork lift. The attachment is easy to secure to any standard lift and gives a new level of functionality to any standard fork lift. 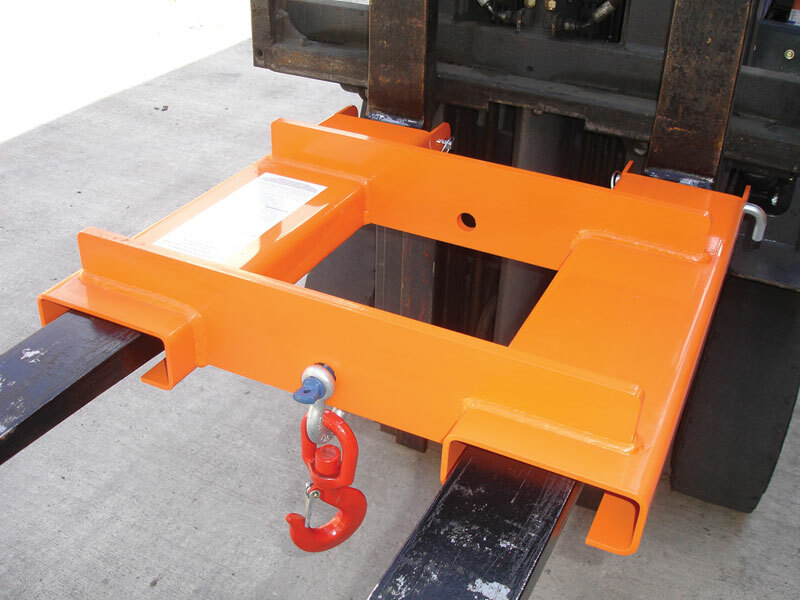 Loading zone managers who frequently have to move heavy objects that don’t fit on standard lifts can use this item to substantially increase speed and output. It can also be useful for any company who wants to save money on new machinery. With a capacity of up to 4000kg, this robust unit is perfect for safely moving heavy objects with the supplied safety swivel hook and bow shackle. 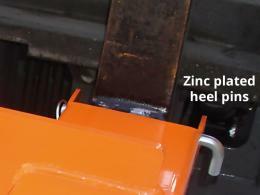 Zinc plated heel pins come standard, and this economical choice can provide years of dependable service at any commercial location. 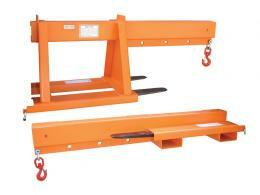 We will match any price, so convert your lift to a mini-crane with fork mounted hooks today!